This brand-new devotional by Charles Stanley invites readers to step into the presence of an eternal God who is bidding them to find serenity and security in him. 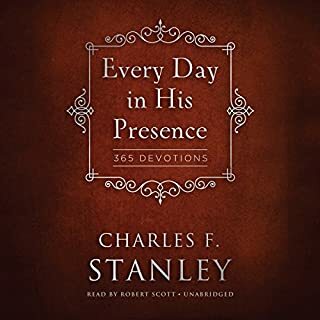 With topics addressing all walks and phases of life, these 365 devotions include a scripture, a meaningful application, a short prayer, and an "In His Presence" takeaway for thought. 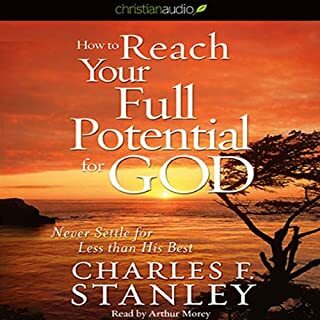 This audiobook provides a wonderful way to experience his presence and stay focused on his promises every day of the year. Never Settle for Less Than His Best! Things are never going to change or "This is just the way I am--I'm never going to get better" are just a few of the damaging lies Christians believe about themselves, their situations, and their walk. But Dr. Stanley shares the real truth as God sees it. 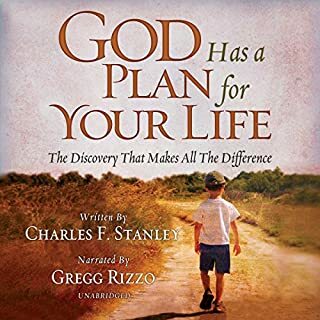 In this powerful and inspiring message, readers reconnect with the grand vision God had when He uniquely created them. 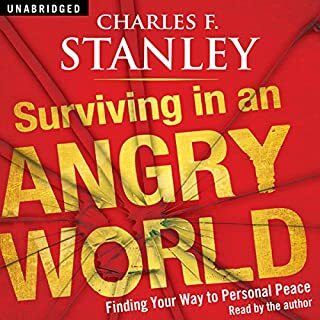 With compassion and a wealth of biblical understanding, Stanley explains that the measure of a person is "the size of thing that makes them angry." He goes on to distinguish between healthy and harmful anger and reminds us that "righteous indignation" is a divine emotion. However, he skillfully explains that misguided anger eats away at ourselves, our relationships with others, and our relationship with God. Dr. Stanley believes that God sums up success in terms of relationship, character, and obedience. 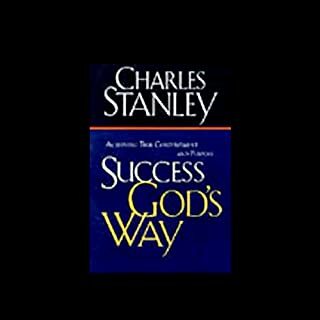 In Success God's Way, he reveals how God has designed His people for success and is continually equipping them to prosper. What does it take to be a "real" man? You don’t have to be perfect to be a man of God. As Dr. Charles Stanley writes, a man of God is a maturing man, a striving man, a knowledgeable man. And the first step in real manhood is spiritual rebirth. A Much Needed Word for Men. Simply a wonderful and educational book. Billy Graham, one of Christianity’s most beloved evangelists, lends his reassuring expertise and a compassionate heart while answering questions about our future and final home. The biblically based Q&A format makes it easy to pinpoint the questions that matter to you most. With enduring truth and an extensive knowledge of Scripture, Graham answers over 100 thought-provoking questions about heaven. Brings calm and hope to a troubled heart. 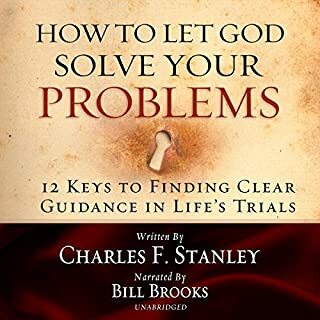 In The Gift of Prayer, trusted pastor and best-selling author Dr. Charles Stanley explains that prayer ushers us into the throne room of God where we find a personal, loving, and holy God eager to share himself with us. Charles Stanley helps you recognize and begin to live with the guiding presence of the Holy Spirit by challenging you in three parts to look up, within, and ahead. Life abundant - Jesus promised it and we long for it, yet few Christians seem to have it. 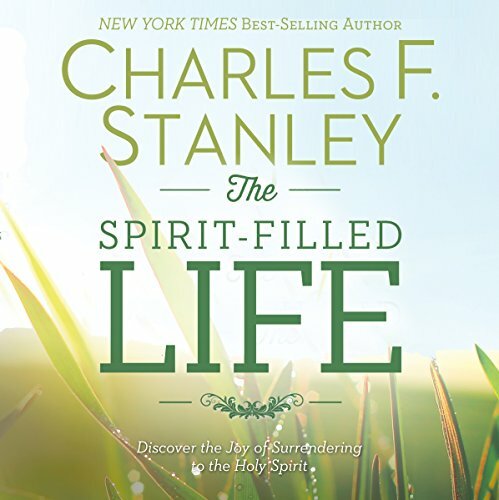 Blending lively anecdotes, commentary, and teachings from the Bible, Charles Stanley introduces you to the Holy Spirit. He is not an oversized electrical current you just plug into when you need additional help, or a theological concept, but just as real and active as Christ. He has personality as well as a specific job description and a definite desire to be an active part of our lives." A big part of the Spirit-filled life is learning to recognize the fingerprint of the Holy Spirit. Once you know what to look for and once you begin looking for it, you will be amazed at how real the Holy Spirit will become to you. Learning to recognize the Holy Spirit is the first step in learning to live the Spirit-filled life." No matter where you are in your Christian life, this book gives a clear understanding of how we should view the Holy Spirits place in the triune nature of our God. It also helps in the understanding of the pitfalls many Christians fall into regarding how the Holy Sprit works in today's times. This was a great listen and great message that I learned from and will listen to again and again truly a blessing. This book will always be one of my favorite books. This book will open your eyes to the Holy Spirit of the Living God. Sweet. I have now listened to this book three times, and will later read a again. This book is easy to understand and very practical, while at the same time giving some wonderful and deep insights into the work of the Holy Spirit in our lives. A blessing and well worth your time. Charles Stanley presents a clear, wise and balanced perspective on the Holy Spirit and his role in our lives. C. Stanley enumerates specific ways to know, hear and follow the Holy Spirit, with Biblical reference as foundation. This book has encouraged, challenged and inspired me to surrender, listen and follow. The reader made it a wonderful listen. Not too slow, not too fast and pleasant tone. Just finished the book and I'm starting it again. I've learned so much about the Holy Spirit and how to listen for in this book. This book was a blessing to me. Thank you doctor Charles Stanley. Dr. Stanley wrote this work some time ago. I have the hardback version in my library. This audio book is an excellent companion. His teaching is spot on and the narrator keeps you listening. The teaching in this book is interwoven with illustrations that drive home the point being made. It has life application and is very real. Have you listened to any of Maurice England’s other performances before? How does this one compare? Maurice England's style of narration is compelling. He is easy to listen to and keeps you engaged in the content. What did you learn from The Spirit-Filled Life that you would use in your daily life? Dr. Stanley taught me the importance of the Spirit Filled Life. He also demystifies the process of being filled. I have now listened to it twice and will again.I have recommended it to others as I do to you.